Buzzfeed: Can 1,000 College Students Do Better Than Elon Musk? In the summer of 2013, billionaire Elon Musk posted a 58-page “alpha paper” introducing a futuristic “fifth mode of transportation” beyond planes, train, cars, or boats, which he called Hyperloop. Carnegie Mellon University's Hyperloop team designed a pod that uses electromagnetic induction, which makes the pod levitate above the track. The team designed a control system than can engage and disengage the magnetization, which creates a more energy-efficient pod. When the Tesla Motors Inc. and SpaceX chief executive officer first unleashed his outlandish idea for a Star Trek-style capsule transporting passengers on a cushion of air at 700 miles an hour, it seemed like pure fantasy. Well, guess what? A lot of people—many of them young engineering students—took him seriously. A new transportation system, called the Hyperloop, is billed as having the ability to shorten travel times to Chicago and New York to about 30 minutes. 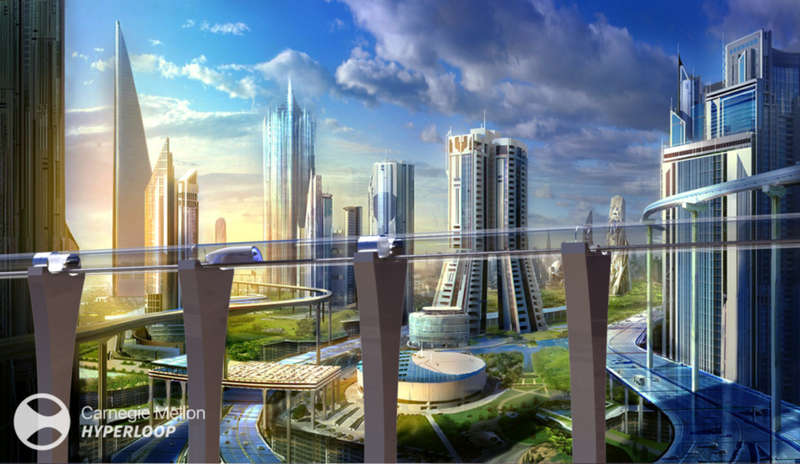 Later this year, dozens of college teams from around the world will travel to Hawthorne, California to compete in a high-stakes contest to prove Elon Musk’s vision of super-fast, super-sustainable, tube-based transportation known as the Hyperloop.